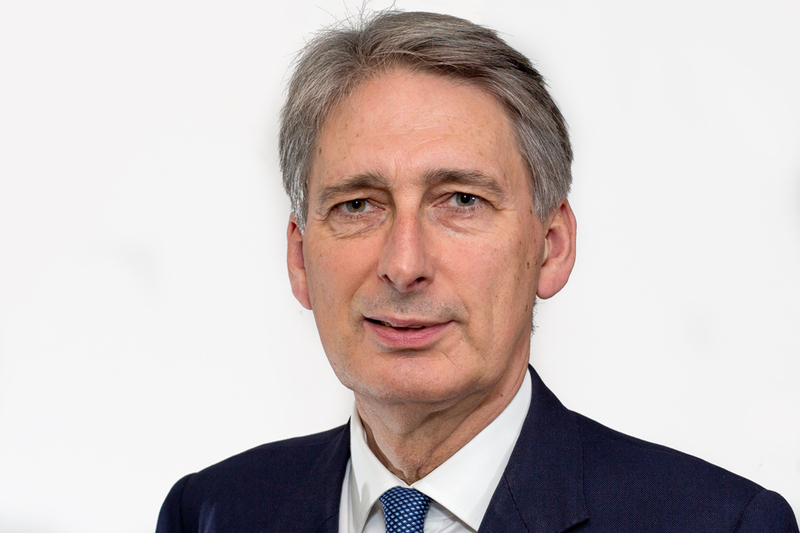 Speech by Philip Hammond, Secretary of State for Defence. Thank you Bill [Bill Lynn, former Deputy Secretary of Defense, now CEO of DRS Technologies] for that introduction, and it’s a great pleasure and a privilege to be here at CNAS this afternoon. When I was here in Washington in January, I spoke about how Europe needed to respond to the challenge laid down by Bob Gates in the seminal speech he made in Brussels, a challenge which was reiterated by Secretary Panetta when he took up his role. I talked about how serious imbalances in NATO capabilities, demonstrated so starkly by the Libya campaign, represented a further challenge to the European NATO allies. How the twin requirements to collective security and economic stability, meant that, in the short to medium term, given the pressure on budgets across the Alliance, more money is not in reality likely to be the answer. How, in an era of budgetary austerity, NATO’s smart defence initiative required greater collaboration between NATO allies, and with our trusted partners, to produce capability more efficiently, and that the greatest effect would be generated by small groups working together, not through cumbersome mechanisms designed for unanimity at 28. And I believe we are heading in the right direction. Everybody gets it. At the NATO summit in Chicago we laid the groundwork for an alliance based on more equitable burden sharing. We now have to make this a reality. So today, I want to zero in on one of the most effective drivers of collective North Atlantic military capability, the relationship between the United States and United Kingdom. I want to explain to you the reforms the UK is making to the way we deliver military capability. Because I want to reassure you about our resolve to remain a capable ally. And to begin to sketch out for you the next phase of the collaboration between our 2 great countries. one of the oldest and strongest alliances the world has ever known. At a time when threats and challenges require nations to work in concert with one another, we remain the greatest catalyst for global action. He was thinking particularly of the Libya campaign. The strength of our alliance is based on the twin pillars of common values and common interests. Our common values of democracy, the rule of law, the free market, freedom of speech and freedom of conscience. Our common interests in maintaining an open, free-trading, stable and secure international environment in which our citizens can prosper and our values can spread and flourish. We are each other’s largest single foreign investors. And we are each other’s top partners in science, innovation and education. But it is our defence relationship which stands out. And now tempered over the last decade in the sands of Iraq and in the shadow of the Hindu Kush. But our defence relationship is not a backward looking one. We are about to enter a new phase in our long history together. we are turning a page on a decade of war. For the UK, as for the US, this will mean bringing an end to more than a decade of enduring operations in the wake of 9/11, as we transition from a combat role in Afghanistan to a contingent posture. So let me set out to you how the United Kingdom is taking this opportunity to reconfigure our armed forces to face the new threats that await us in the future. And, crucially, more interoperable with our primary international partners. This transformation to a contingent posture is, of course, complicated by the need to deal with the fiscal challenge facing our economy; a challenge shared by many of our allies, including the United States. The action being taken by the UK to bring our fiscal position under control is in itself an essential strategic underpinning to future sustainable defence capability. Fiscal integrity and economic robustness is the well-spring of strategic strength. That, surely, is one of the primary lessons of the Cold War. We have also had to deal with an equipment plan beset by overspends and over-optimistic programming, problems, I know, that are not entirely unknown on this side of the Atlantic. We have acted early. We have been decisive. And I want to assure you of our resolve to remain a strong and capable ally of the United States. Focussing on the deployable, expeditionary, well equipped forces we will need in the years ahead. But providing our forces with the reassurance that if it is in the programme, we have the budget to pay for it, and it is going to be delivered to them. So they can start plan with certainty for the future. We have also set out the design for the British Army of 2020 as we recover capabilities from Afghanistan. An intelligent approach that minimises the impact on military effect of a reduction in regular manpower. And using our contractors more effectively. Ensuring that manpower reductions are taken in areas where reserves and contractors can most rapidly provide support. Maximising teeth, by transforming the way we deliver the tail. Providing a core of highly trained reaction forces, supported by an adaptive force able to undertake standing tasks, overseas capacity building, homeland resilience and provide the capability for sustained operations when required. An army that will remain the most capable deployable fighting force outside the United States of America. Encouraging innovation and budgetary responsibility. And developing, as Bill mentioned, a new strategy for the procurement of defence equipment. This is a necessary precursor to re-setting the relationship with the defence industry, offering new opportunities for collaboration; but demanding in exchange renewed pursuit of efficiencies in the delivery of military programmes. Some of what we have done has been painful. Balancing the books and creating a sustainable forward defence programme has meant reducing personnel numbers and retiring some capabilities. It has meant accepting, and managing, some capability risks. The reductions we are making are broadly proportionate to those being planned in the Pentagon, but of course from a baseline an order of magnitude smaller. Keeping programs alive on the hope that there will be more funds in the future is dangerous behaviour. It is better to have a smaller but ready force, and fewer but healthy programs. Regenerating our carrier strike capability with our new Queen Elizabeth Class carriers and superb F-35B aircraft. And, crucially, supported by the political will to deploy our forces when required. Throughout this process, the watchword has been capability, not size, capability that can be deployed swiftly within a force posture that is inherently adaptable and configured to tackle the full range of potential threats. We have taken great care to protect those capabilities that underpin our value as an ally to the US and in NATO. Our command capability; our special forces; our industrial and technology base; the knowledge and experience of interoperability embedded in our structures and personnel. So, heeding Bill’s advice in that speech, the force we will be able to field in 2020 will be smaller, but better equipped, better supported and better configured to meet the challenges of the new security environment. Able to deploy and sustain a brigade-sized force indefinitely or a division-sized force in time of need. A Royal Air Force that will be operating fleets of multi-role Typhoon and ground attack Tornado aircraft before the introduction of the F-35 Lightning II, with a support fleet of C17, A400M transport aircraft and Voyager transporter and air-to-air refueller, as well as a full suite of UAVs. The Royal Navy operating one of the most advanced anti-aircraft destroyers in the world, the Type 45, with work advancing on our new Type 26 global combat ship and the nuclear Astute Class submarine programme nearing completion. Buying the STOVL version of the F-35B will allow us quickly to generate strike capability from our next generation aircraft carriers, the largest warships ever to enter service with the Royal Navy. And I am extremely grateful to the US Navy and Marine Corps for the support they are providing to allow us to maintain and regenerate the skill sets we need to do that. And of course this core force is supplemented by the whole panoply of joint-force enablers including C4ISTAR and our world class special forces. And it is underpinned by our continuous, at sea, nuclear deterrent which we are committed to retaining and replacing in due course as it reaches the end of its current life expectancy. Advanced enough to operate alongside the US anywhere in the world. This is the shape of the future British armed forces that you in the US can expect to be operating alongside you in the field as your most capable and committed military ally. As we draw down from Afghanistan, our shared analysis of the future security environment points to a period that is unpredictable, volatile and with diverse threats. Threats that need to be met as they evolve, upstream and at distance, rather than waiting for them to come to us. And in which the rising strategic importance of the Asia-Pacific region requires all countries, but particularly the United States, to reflect in their strategic posture, the emergence of China as a global power. Far from being concerned about the ‘tilt’ to Asia Pacific, the European NATO powers should welcome the fact that the US is willing to engage this new strategic challenge on behalf of the alliance. And recognise that, as a result, European nations, including the UK, will need to do much more of the heavy lifting to ensure security in their own region and in the Middle East, North Africa and the Horn of Africa. This is not the ‘end of Atlanticism’, but the beginning of a new, more balanced era in the relationships within the alliance. The priority of the UK will remain, after the protection of our homeland and dependent territories, to ensure the enduring security and stability of Europe and its near abroad. Recalibration of burden-sharing is the way close allies should respond to shifts in the geopolitical landscape. For the UK, the defence relationship with the US will always be paramount. But in order to support your rebalancing, we will seek to work more closely with our neighbours in Europe, particularly France and Germany, to enhance the capabilities of our own region, for homeland defence and for intervention abroad. Ensuring that Europe makes its contribution to upholding the international system that underpins our collective security and prosperity. This is a division of labour which is firmly in our mutual interests. None of this makes UK/US co-operation any less important. On the contrary. As I said in January, no country, not even the United States, can hope to tackle successfully all the threats we face in common, by acting alone. And the UK will continue to stand alongside the US in tackling these threats. So we in the UK have faced up to the challenge set first by Secretary Gates, and then by Secretary Panetta. We set out our Transformation programme and have begun to deliver it. We identified the role that we need to play as the alliance responds to the US pivot. We are already on the road to delivering the sustainable armed forces that will give us the capability we need for the future. And now we are ready to map out the next steps in our cooperation with the US. As we draw down from this decade of continuous operations, and continuous military co-operation, the circumstances are changing. And so our relationship needs to evolve in response. Without the immediacy of those enduring operations, that we’ve had for the last 10 years, we need to act to maintain the immense knowledge, skills and habits of co-operation built up between our armed forces. This will require a renewed emphasis on training and exercising after 2014. A good start will be to make full use of the training potential of the recently announced decision to rotate US-based brigade combat teams through the NATO Response Force. But we need to go further, do more, if we are going to maintain the extraordinary level of mil-mil cooperation built up over the last decade. Let me set out three areas where I think the national interest of our countries, and the collective interests of our partners, would be served by more far reaching US-UK cooperation. Both of our defence strategies are based on retaining the technological edge of our armed forces. In this environment of rapid technological change and significant resource constraint, we should do more to align requirements more closely and work collaboratively to deliver them. It is in neither of our interests to duplicate research and development for new systems. And no 2 countries are better placed to work together for the common good than Britain and the US. Modern, battle-winning equipment and weapons have become extraordinarily expensive, so there is merit in cooperating more fully, pooling demand, investment and technology, as we have done with the F35. In an age of smart defence it is even more vital that we do more together both on the battlefield and in development of future systems. Working together to ensure our forces have the best equipment and can operate side by side whenever necessary. Both of our countries recognise that the character of conflict is changing. The threats that are arising in cyberspace are not limited by geography nor can they be addressed through conventional military action. We have to think differently about the way we protect critical infrastructure more likely to be rendered inoperable through a computer virus than a bombing raid. And we have to work together to help our defence industries protect themselves from espionage. Bill has been a tireless advocate for greater co-operation between our countries in tackling some of these threats. It’s thanks to him that we now have great cooperation underway at CYBERCOM. The ‘cyber collaboration memorandum’ signed last year, has established the framework for our nations to work more closely in this domain and we should capitalise on the opportunities it presents. Thirdly, I want to suggest we need a new approach to security challenges. Both of our defence strategies call for tackling threats upstream before they become crises. We both recognise that prevention is better than cure. And we are both changing the structure of our armed forces to be better prepared for building the capacity of others. Presenting opportunities to work together, to burden share and to learn from each other, just as we have done over the last decade of stabilisation and counter insurgency. But the key lesson we have learnt from Iraq and Afghanistan is that security cannot be delivered by our militaries acting alone. We need to align all of our levers of national power and influence to achieve our objectives. In the UK, our Strategic defence and security review, precisely that, not just defence but a broader security review, concluded that we need to marshal our development assistance, diplomatic efforts and defence engagement if we are to truly tackle the root causes of conflict. I know the US government is also looking at how it can make its security assistance as effective as possible. I would suggest that this effort cannot end at national borders though. To be truly effective we need to make this a multi-national as well as multi-agency approach. British military officers, working with American development experts; British diplomats working with US military stabilisation teams. So, to conclude ladies and gentlemen, it can sometimes seem that we take for granted, that when needs must, the armed forces of the US and UK can operate in the field together, in tough circumstances, sharing the dangers and risks, in appearance of seamlessness. But this capability is not “for granted”; it didn’t occur by chance; the apparent effortlessness is born of hard work and constant attention. In one single month earlier this year, UK military personnel took part in 10 separate training exercises with US forces. That is why, when we do go to war together, we trust each other, we understand each other, we respect each other, and we can rely on each other. The bonds between our armed forces are special, just as the bonds between our people are special. They took time to build and they run very deep. They have been tested over the last decade, in the wake of 9/11, and found to be robust. But we now enter a new era where meeting the needs of national security and collective defence requires us to re-balance the way we do things as an alliance. Europe doing more in its own back yard as the US tilts to the Asia-Pacific. Britain retains the military power to help drive this process in Europe, with France and Germany, creating greater capability, backed up by political will to act, while reinforcing our partnership with the United States. This is a new era for Atlanticism, still based on shared values and shared interest, but increasingly too, on a burden shared more equitably. We should not underestimate the challenges ahead in energising the NATO alliance to deliver. We are all acutely conscious of economic and fiscal pressures to come. And that the threats we face are many, varied and uncertain. The one thing we can be certain of in this uncertain world is that we will achieve more, reach further, and be safer, if Britain and the US make a conscious decision to preserve and strengthen the remarkable and enduring collaboration we already have at so many levels. And my purpose in coming here today is to assure you that now, more than ever, we are ready and able to do that.